TR Motorsport has a proud history of nurturing young driving talent and has developed the careers of several drivers over the years helping them to realise their motorsport dreams, not only in Thailand but also throughout the world. Recent success stories from the TR Motorsport development program are Sandy Stuvik and Jack Lemvard who have both now become professional racing drivers. The latest addition to the TRM family is Danish Protégé ‘Victor Conrad Spliid Jensen’, the 16-year-old has already proven himself on the track with both Karts & Cars and is well ahead of other drivers in the same age bracket and shows a real thirst to learn. 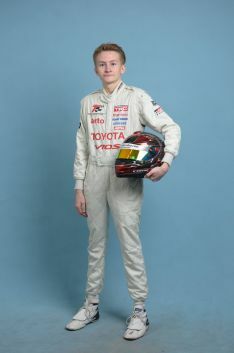 All of us at TR Motorsport are excited at the chance to develop the career of a young driver like Victor. Decisions are never taken lightly at TRM and we had been studying Victor’s progress throughout 2017, it soon became apparent that the young Dane had real potential and under the guidance of Racing Coach Jack Lemvard, he continued to improve over the season, resulting in his first race win and becoming a real contender for the driver’s title. When Victor's father approached us and asked if we could aid in his sons further development the decision was an easy one to make, not only is it the great potential he shows, it is his ability to listen and learn fast that made the decision so easy. The 2018 season promises to be a very demanding one for Victor, as we will be entering him in several Championships. He will drive in the ‘ALTIS’ Class of the Toyota One Make Race Series and Class-C of the Super Production Championship in the Thailand Super Series where we have set a top 5 position as an end of season goal. Victor will also be racing in the 3K Toyo Championship and the Super Turbo Series; both these Championships will be used as practice, allowing him and the team to hone his skills further. If all this wasn’t enough he will also be competing in the DD2 Karting Championship, racing Shifter Karts. All these events will play a major role in his development. “I am very happy to have the chance of working with Thomas and TR Motorsport, I was impressed to see how they work with data analysis to help set up the car and develop their drivers. They have built a new car for me that I will use for the Super Production Class of the Thailand Super Series. The program we have devised for Victor will see him racing a minimum of 20 weekends throughout 2018, with the potential for more races being added to the calendar as the year progresses.